It is almost eight years since the so-called credit crunch began – the period when lending appeared to dry up and which presaged the financial crisis of 2009, the effects of which continue to be felt today. Yet despite four years of economic growth, record low interest rates, quantitative easing by the world’s central banks and continued exhortations by governments for banks to lend more, credit is still being strangled at source. A recent survey carried out by eBay clearly showed that both consumers and businesses are suffering at the hands of the major high street banks with their rigid lending policies and risk-averse culture. The lack of trust in the major banks – which has been described as a ‘broken bond’ – has led to millions of people being forced to go elsewhere to source the credit they need to get on in life or to expand their business. More than 65% of Britain’s businesses said that getting finance from their banks was difficult or very difficult with more than 60% saying that the situation was worse than it was at the height of the financial crisis. Consumers, too, are suffering as the banks impose rigid lending criteria that has seen more and more people drop out of the top credit ratings into bad credit territory through no fault of their own. There is also evidence that lower interest rates are actually having a negative impact on lending. Researchers from universities in Asia, Europe and the US found that even though the banks should, in theory, make more money lending to people it can charge higher interest to – those with lower credit ratings – the potential costs of doing so are actually making them more averse. The researchers found that the bank’s best customers – those with the highest credit ratings – were actually less likely to borrow with the borrowers with higher risk profiles the ones who are more likely to borrow. That means that mainstream lending interest rates inevitably have to rise to cover the cost of those who default on their loans. Yet despite the stranglehold imposed by the major banks, there is a booming market for consumers judged to have bad or impaired credit in the UK. The growth of the Internet has meant that the banks now have serious competition when it comes to lending: new and existing financial organisations are taking advantage of the lower cost model offered by digital-only trading. These companies have fewer staff, little commercial property and lower expenses than mainstream lenders and so have been able to offer an alternative to the traditional lenders. There may be many reasons why you are turned down for a credit card, loan, mortgage or mobile phone contract and not all of them are the result of financial mistakes in the past. The new environment of stricter criteria means that having moved house recently, not having had sufficient credit in the past or simply the area in which you live may rule you out when it comes to borrowing from the banks. In addition, there are hundreds of thousands of people with impaired credit ratings who find that they can no longer borrow the money they need from their bank when prior to the financial crisis; they would have had no such problem. This may be because they have been late with one or two card repayments not because they have a raft of defaults or county court judgements registered against them. Credit cards, personal loans, guarantor loans and current accounts for people with bad credit are all starting to make a comeback in the UK. On top of these, a number of companies are now offering mortgages to people with bad credit ratings despite the abolition of the self-certification mortgage by the Financial Conduct Authority. This growing-number of alternative lenders are joining a sector that is expanding rapidly – offering hope to millions of people shut out of the credit markets by their banks. While some have expressed concern that the higher interest rates charged on bad credit loans could cause people problems with repayments, one charity has said that the rise of the bad credit lending market was necessary to put the economy back on an even keel. Peter Tutton, of debt charity StepChange, told The Guardian earlier this year that it is important that people who have had problems with money in the past got the opportunity to become normal consumers again. That means allowing people to rebuild their credit ratings - which can only be done by giving them the means to borrow and make repayments on time – something the major banks are patently unwilling to do. Even those who have faced bankruptcy or have a string of CCJs against their names are finding that they are not necessarily being excluded from loans. Different lenders have different criteria and there is a good chance that even if you have bad credit, somebody will lend you the money that you need. 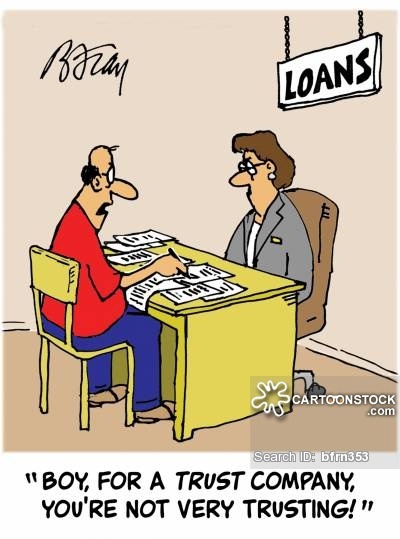 The interest rates may be higher and you might not be able to borrow as large a sum as somebody with a perfect credit record, but a very large number of lenders are now ready to listen to people with less-than-perfect credit records and consider their circumstances. The major banks may be reluctant to lend still but it is clear that the days when they were able exert so much control over the lives of millions of people are disappearing. Article provided by Solution Loans, a technology-led finance broker with a broad range of financial products and many years’ experience in advising customers of their most suitable types of credit.